..this seems to be a quite clear violation of your copyrights! Are you going to sue Holtzbrinck? 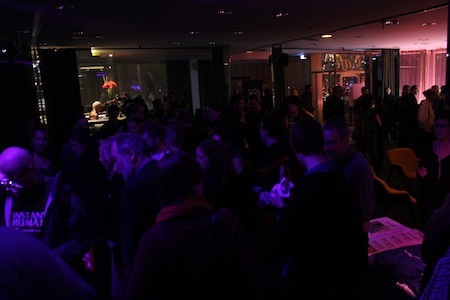 …is boring talks the new berlin party scoop? So regarding the copyright issue: No – I don’t want to sue Holtzbrinck. In fact it’s not only that I find my suggestions not overly original and rather intuitive but also that I think that it’s good that at least some people care about the issue. Moreover I don’t want to set up a preprint archive – I actually had already set up** and maintained a preprint archive for almost ten years at the former sfb288 which starts with lecture notes* by Ludvig Faddeev from autumn 1991. I could also imagine that eventually some kind of pre-preprint archive may exist already at some institution, as there are meanwhile many institutional repositories. Or there may be related projects. Like for the Mimirix project we used trac for (amongst others) reading the students works and who knows wether there aren’t universities who already set up their own online dissertation pre-print archive. I still think it would be good to have something like this with a long term support offered by a global public institution like the arxiv.org. A company like Holtzbrinck has to keep its own business interest in focus and this may unfortunately turn out to be eventually at some point against the original idea of science. Concluding – I eventually would use my “copyrights” passively, that is in case someone would e.g. try to forbid the arxiv.org to set up such a thing, because of copyright issues (there are still software patents in the US) then I could eventually try to help the arxiv with my timestamped proposals, which are distributed over the internet. But I don’t think that this is going to happen. *the preprints have no licence, since back then a kind of creative commons share-a-like licence was sort of self-understood for preprints, I actually don’t know how the arxiv handles these new laws. Regarding the party… the party of course started after the talks, images after the click. update 6.2.11: Here an image of yesterdays great show. 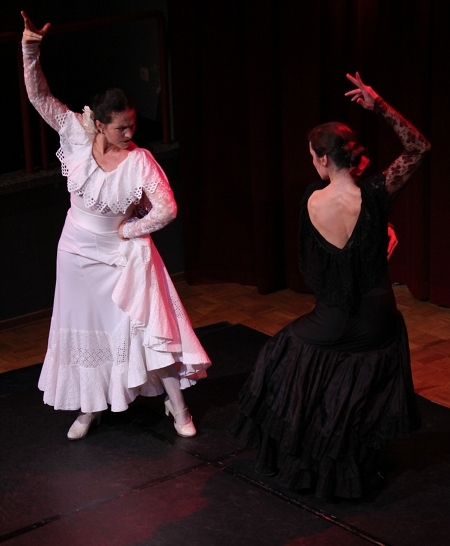 Nora and Theresa Lantez dancing “Farruquita por las dos” as a fight of the generations. Short note for the Berlin locals. Theresa Lantez, featured in this randform post runs a show with her mother Nora Lantez on saturday. Nora Lantez is a professional balletdancer (education Berlin) with a 3 years extra specialization in “spanish dance”. The show “Flamenco- Impressions” is at Studiobühne at the FF Marzahn, music by Cayenne Katrin and Josè Ramirez. Soheil Nasseri (who was featured a couple of times here on randform) is again becoming an actor. This times he is going to play the role of a pianist of the 19th century (means in particular one hour of Chopin). He will perform together with an orchester and the ballet of John Neumeier, Lady of the Camellias. The show is going to be end of Mai in the Metropolitan Opera House, which fits in about 30000 people! Before this big event is taking place he rehearsed his performance here in Berlin in the Salon Christophori – a repairshop for fortepianos and other historical instruments in front of ca. 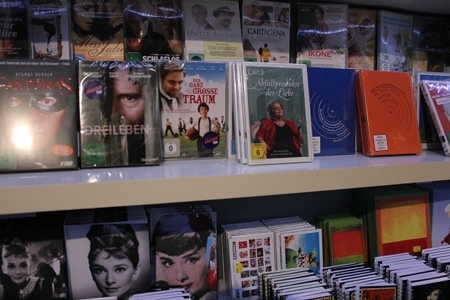 100 highly critical inhabitants of Berlin (…just to make sure that New York gets the right quality! ;-) ) His performance was partially together with Tuyêt Pham (mimicking the orchester). The performance was no exception since next to the repairshop (where you can by the way adopt the repair of a fortepiano) Salon Christorphori hosts a series of high quality performances of artists who enjoy the possibility to perform in a rather casual context (and with better conditions than in a department store). Unfortunately the future of the Salon is rather unclear since the place is currently refurbished with unclear (and most likely gentrified) future tenant situation. “Small” cultural occasions like the above described are important for the cultural life of a city. They serve not only for local communication and entertainment but are equally of educational value. Unfortunately as described before music education in Berlin is not as it could be and more unfortunately the situation is worsening. In a protest note well-known musicians protest against the cutbacks of music education in schools . I am aware of the fact that it may be funny if a mathematical physicist speaks about theatre.